Akerblom, F. (1908). Recherches sur les courants les plus bas de l'atmosphère au-dessus du Paris. Nova Acta Req. Soc. Sc. Uppsala, Ser. 4, (2), 1-45. Ariel, N. Z., Bjutner, E. K. and Strokina, L. A. (1991). Time-space variability of the C02 exchange between the ocean and the atmosphere. Meteorologiya i gidrologiya, no. 2, pp. 54-9. Augstein, E., and Krugermeyer, L. (1974). Errors of temperature, humidity and wind speed measurements on ships in tropical latitudes. Meteor. Forsch. Reihe B, 9, 1-10. Barron, E. J., Thompson, S. E. and Hay, W. W. (1984). Continental distribution as a forcing factor for global scale temperature. Nature, 310, 574-5. Baumgartner, A. (1979). Climatic Variability and Forestry. WCC, Overview Paper, no. 21, 27 pp. Baumgartner, A. and Reichel, E. (1975). The World Water Balance. Elsevier, Amsterdam, NY, 179 pp. Benilov, A. Y., Gumbatov, A. I., Zaslavskii, M. M. and Kitaigorodskii, S. A. (1978). Non-stationary model of the marine boundary layer development with generating surface waves. Izv. AN. SSSR, fizika atmosfery i okeana, 14, 1177-87. Benton, G. S., Fleagle, R. G., Leipper, D. F., Montgomery, R. B., Rakestraw, N., Richardson, W. S., Riehl, H. and Snodgrass, J. (1963). Interaction between the atmosphere and the ocean. Bull. Amer. Meteorol. Soc., 44, 4-17. Bjutner, E. K. (1978). 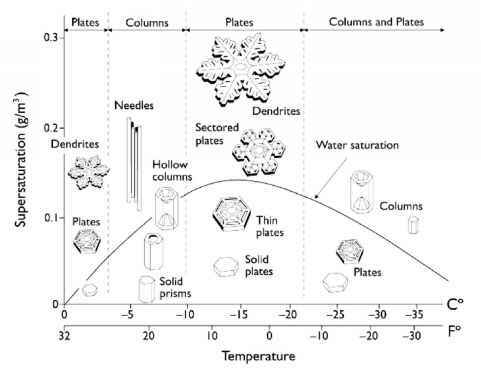 Dynamics of the Surface Air Layer. Gidrometeoizdat, Leningrad, 157 pp. Bjutner, E. K. (1986). The Planetary Gas Exchange of 02 and C02. Gidrometeoizdat, Leningrad, 240 pp. Blanc, T. V. (1983). An error analysis of profile flux, stability and roughness length measurements made in the marine atmospheric surface layer. Boundary-Layer Meteorol, 26, 243-67. Blanc, T. V. (1985). Variation of bulk-derived surface flux, stability and roughness results due to the use of different transfer coefficient schemes. J. Phys. Oceanogr., 15, 650-69. Blanc, T. V. (1987). Accuracy of bulk-method determined flux, stability and sea surface roughness. J. Geophys. Res., 92, 3867-76. Bolin, B. (1978). Modelling the global carbon cycle. In Carbon Dioxide, Climate and Society. Pergamon Press, Oxford, NY, pp. 41-3. Bortkovskii, R. S. (1983). Ocean and Atmosphere Heat and Moisture Exchange Under Storm Conditions. Gidrometeoizdat, Leningrad, 158 pp. Bortkovskii, R. S., Bjutner, E. K., Malevskii-Malevich, S. P. and Preobrazhenskii, L. Yu. (1974). Transfer Processes Near the Ocean-Atmosphere Interface. Gidrometeoizdat, Leningrad, 239 pp. Bryan, F. (1986). High latitude salinity effects and interhemispheric thermohaline circulations. Nature, 323, 301-4. Bryan, F. and Oort, A. H. (1984). Seasonal variation of the global water balance based on aerological data. J. Geophys. Res., 89, 11717-30. Bryan, K. (1982). Poleward heat transport by the ocean: Observations and models. Ann. Rev. Earth Planet. Sci., 10, 15-38. Bryan, K., Komro, F. G., Manabe, S. and Spelman, M. J. (1982). Transient response to increasing atmospheric carbon dioxide. Science, 215, 56-8. Bryan, K., Manabe, S. and Pacanowsky, R. C. (1975). A global ocean-atmosphere climate model. Part II. The ocean circulation. J. Phys. Oceanogr., 5, 30-46. Budyko, M. I. (1956). Heat Balance of the Earth's Surface. Gidrometeoizdat, Leningrad, 255 pp. Budyko, M. I. (1969). The effect of solar radiation variations on the climate of the Earth. Tellus, 21, 611-19. Budyko, M. I. (1974). Climate Change. Gidrometeoizdat, Leningrad, 280 pp. Budyko, M. I. (1980). Climate of Past and Future. Gidrometeoizdat, Leningrad, 350 pp. Budyko, M. I. and Israel, Yu. A. (eds.) (1987). Anthropogenic Changes in Climate. Gidrometeoizdat, Leningrad, 406 pp. Budyko, M. I., Ronov, A. B. and Yanshin, A. L. (1985). History of the Atmosphere. Gidrometeoizdat, Leningrad, 207 pp. Busch, N. E. (1977). Fluxes in the surface boundary layer over the sea. In Modelling and Prediction of the Upper Layer of the Ocean, E. B. Kraus (ed. ), Pergamon Press, Oxford, pp. 72-91. Cacuci, D. G. and Hall, M. G. (1984). Efficient estimation of feedback effects with application to climate model. J. Atmos. Sci., 41, 2063-8. Cahalan, R. F. and North, G. R. (1979). A stability theorem for energy-balance climate models. J. Atmos. Sci., 36, 1205-16. Carissimo, B. C., Oort, A. H. and Vonder-Haar, T. H. (1985). Estimating the meridional energy transport in the atmosphere and ocean. J. Phys. Oceanogr., 15, 82-91. Carson, D. J. (1982). Current parametrization of land surface processes in atmospheric general circulation models. Proc. Conf. on Processes in Atmospheric General Circulation Models. Greenbelt, 5-10 January 1981. WMO, Geneva, pp. 67-108. Chalikov, D. V. (1982). Zonal models of the atmosphere. Izv. AN SSSR, fizika atmosfery i okeana, 18, 1247-55. Chamberlin, T. C. (1906). On a possible reversal of deep-sea circulation and its influence on geologic climates. J. Geol, 14, 363-73. Chan, J. H. and Olson, J. S. (1980). Limits of the organic storage of carbon from burning fossil fuels. J. Environ. Management, 11, 147-63. Charney, J. G. (1969). What determines the thickness of the planetary boundary layer in the neutrally stratified atmosphere? Okeanologia, 9, 143-5. Charney, J. G. (1975). Dynamics of desert and drought in the Sahel. Quart. J. Roy. Meteorol. Soc., 101, 193-202. Charney, J. G., Quirk, W. J., Chow, S. H. and Kornfield, J. (1977). A comparative study of the effects of albedo change on drought in semiarid regions. J. Atmos. Set, 34, 1366-85. Chervin, R. M. (1979). Response of the NCAR general circulation model to changed land surface albedo. Report of the JOC Study Conf. on Climate Models, 1. GARP Publ. Ser., no. 22, pp. 563-81. Ching, J. K. S. (1976). Ships' influence on wind measurements determined from Bomex mast and boom data. J. Appl. Meteorol., 15, 102-6. Coantic, M. (1986). A model of gas transfer across air-water interface with capillary waves. J. Geophys. Res., 91, 3925-43. Corby, G. A., Gilchrist, A. and Rowntree, P. R. (1977). United Kingdom Meteorological Office five-level general circulation model. In General circulation models of the atmosphere (J. Chang, ed. ), Methods in Comput. Physics, 17, 67-110. Cubasch, U. (1989). A global coupled atmosphere-ocean model. Phil. Trans. R. Soc., Lond., A329, 263-73. Cubasch, U., Hasselmann, K., Hock, H., Maier-Reimer, E., Mikolajewicz, U., Santer, B. D. and Sausan, R. (1991). Time Dependent Greenhouse Warming Computations with a Coupled Ocean-Atmosphere Model. Max Planck Inst. Meteorol., Report 67, Hamburg. Deacon, E. L. (1977). Gas transfer to and across an air-water interface. Tellus, 29, 363-74. Deacon, E. L. and Webb, E. K. (1962). Small-scale interactions. In The Sea, M. N. Hill (ed. ), Vol. 1. Interscience, NY, London, pp. 43-87. Deardorff, J. W. (1977). A parametrization of ground-surface moisture content for use in atmospheric prediction models. J. Appl. Meteorol., 16, 1182-5. Denman, K. L. and Miyake, M. (1973). Behaviour of the mean wind, drag coefficient, and the wave field in the open ocean. J. Geophys. Res., 78, 1917— 31. Dickinson, R. E. (1981). Convergence rate and stability of ocean-atmosphere coupling schemes with a zero dimensional climate model. J. Atmos. Sci, 38, 2112-20. Dickinson, R. E. (1982). Modelling climate changes due to carbon dioxide increases. In Carbon Dioxide Review 1982, W. C. Clark (ed.). Oxford Univ. Press, London, NY, pp. 101-33. Dickinson, R. E. (1983). Land-surface processes and climate-surface albedos and energy balance. Adv. in Geophys., 25, 305-53. Dickinson, R. E., Henderson-Sellers, A., Kennedy, P. J. and Wilson, M. F. (1986). Biosphere-Atmosphere Transfer Scheme (BATS) for the NCAR Community Climate Model. NCAR Techn. Note NCAR/TN-275 STR, 69 pp. Donelan, M. A. (1982). The dependence of the aerodynamic drag coefficient on wave parameters. First International Conference on Meteorology and Air-Sea Interaction of the Coastal Zone. Amer. Meteorol. Soc., Boston, pp. 381-7. Dunckel, M., Hasse, L., Krugermeyer, L., Schrievers, D. and Wucknitz, J. (1974). Turbulent fluxes of momentum, heat and water vapour in the atmospheric surface layer at sea during ATEX. Boundary-Layer Meteorol., 6, 81-106. Dyer, A. J. (1961). Measurements of evaporation and heat transfer in the lower atmosphere by an automatic eddy-correlation technique. Quart. J. Roy. Meteorol. Soc., 87, 401-12. Dyer, A. J. (1974). A review of flux-profile relationships. Boundary-Layer Meteorol., 7, 363-72. Dymnikov, V. P., Perov, V. L. and Lykosov, V. N. (1979). A hydrodynamic zonal model of the atmospheric general circulation. Izv. AN SSSR, fizika atmosfery i okeana, 15, 484-97. Ekman, V. W. (1902). Om jordrotationens inverkan pa vindströmmar i havet. Nyt. Mag. für Naturvid, 40, 37-63. Ekman, V. W. (1905). On the influence of the Earth's rotation on ocean currents. Arkiv Math., Astron., Fysik. Uppsala, Stockholm, 2, 11-52. Ellis, J. S., Vonder-Haar, T. H, Levitus, S. and Oort, A. H. (1978). The annual variation in the global heat balance of the Earth. J. Geophys. Res., 83, 1958-62. Emmanuel, C. B. (1975). Drag and bulk aerodynamic coefficients over shallow water. Boundary-Layer Meteorol., 8, 465-74. Esbensen, S. K. and Kushnir, V. (1981). The Heat Budget of the Global Ocean: An atlas based on estimate from surface marine observations. Clim Res. Inst., Oregon State Univ., Corvallis, 27 pp. Ewing, G. and McAlister, E. D. (1960). On the thermal boundary layer of the ocean. Science, 131, 1374-6. Exner, F. M. (1912). Zur Kenntnis der intersten Winde über Land und Wasser. Ann. Hydrogr. und Marit. Meteorol., 5, 226-39. Faegre, A. (1972). An interactive model of the earth-atmosphere-ocean system. J. Appl. Meteorol., 11, 4-6. Foreman, S. J., Grahame, N. S., Naskeil, K. and Roberts, D. L. (1988). Feedbacks and Error Mechanisms in a Global Coupled Ocean-Atmosphere-Sea Ice Model. Modelling the Sensitivity and Variations of the Ocean-Atmosphere System. Report of a Workshop at the European Centre for Medium Range Weather Forecasts (11-13 May 1988), WCRP-15, pp. 271-9. Freyer, H. D. (1979). Variations in the atmospheric C02 content. In The Global Carbon Cycle, B. Bolin, E. T. Degens, S. Kempe and P. Ketner (eds. ), SCOPE 13, John Wiley and Sons, NY, pp. 79-99. Friehe, C. A. and Schmitt, K. F. (1976). Parametrization of air-sea interface fluxes of sensible heat and moisture by the bulk aerodynamic formulas. J. Phys. Oceanogr., 6, 801-9. Garratt, J. R. and Hyson, P. (1975). Vertical fluxes of momentum, sensible heat and water vapour during the air mass transformation experiment (AMTEX-1974). J. Meteorol. Soc. Jap., 53, 149-60. Gates, W. L., Cook, K. H. and Schlesinger, M. E. (1981). Preliminary analysis of experiments of the climatic effects of increased C02 with an atmospheric general circulation model and a climatological ocean. J. Geophys. Res., 86, 6385-93. Gates, W. L, Han, Y. J. and Schlesinger, M. E. (1985). The global climate simulated by a coupled ocean-atmosphere general circulation model: preliminary results. In Coupled Ocean-Atmosphere Models. J. C. J. Nihoul (ed.). Elsevier, Amsterdam, pp. 131-51. Geernaert, G. L., Katsaros, K. B. and Richter, K. (1986). Variation of the drag coefficient and its dependence on sea state. J. Geophys. Res., 91, 7667-9. Golitsyn, G. S. (1973). Introduction to Dynamics of Planetary Atmospheres. Gidrometeoizdat, Leningrad, 103 pp. Gongwer, C. A. and Finkle, E. (1960). Turbulence meter as an instrument of oceanographic research. Proc. Instrum. Soc. Amer., 15, 88-93. Graham, N. E. and White, W. B. (1988). The El Niño cycle: a natural oscillator of the Pacific ocean-atmosphere system. Science, 240, 1293-1302. Grassel, H. (1976). The dependence of the measured cool skin of the ocean on wind stress and total heat flux. Boundary-Layer Meteorol, 8, 465-74. Green, J. S. (1970). Transfer properties of the large-scale eddies and the general circulation of the atmosphere. Quart. J. Roy. Meteorol. Soc., 96, 157-85. Hampicke, V. (1979). Net transfer of carbon between the land biota and the atmosphere, induced by man. In The Global Carbon Cycle, B. Bolin, E. T. Degens, S. Kempe and P. Ketner (eds.). SCOPE 13, John Wiley and Sons, NY, pp. 219-36. Han, Y. J., Schlesinger, M. E. and Gates, W. L. (1985). An analysis of the air-sea ice interaction simulated by the OSU coupled atmosphere-ocean general circulation model. In Coupled Ocean-Atmosphere Models. J. C. J. Nihoul (ed.). Elsevier, Amsterdam, pp. 167-82. Hansen, J., Johnson, D., Lacis, A., Lebedeff, S., Lee, P., Rind, D. and Russell, G. (1981). Climate impact of increasing atmospheric carbon dioxide. Science, 213, 957-66. Hansen, J., Lacis, A., Rind, D., Russell, G., Stone, P., Fung, I., Ruedy, R. and Lerner, J. (1984). Climate sensitivity: analysis of feedback mechanisms. In Climate Processes and Climate Sensitivity, J. E. Hansen and T. Takahashi (eds.). Geophys. Monogr., 29, 130-63. Harvey, L. D. D. and Schneider, S. H. (1985). Transient climate response to external forcing on 10°-104 year time scales. Part 1: Experiments with globally averaged coupled atmosphere and ocean energy balance models. J. Geophys. Res., 90, 2191-205. Hasse, L. O. (1968). On the determination of the vertical transports of momentum and heat in the atmosphere boundary layer at sea. Hamburg, Geophys. Einzelschriften, 11, 70. Hasse, L., Grünewald, M., Wucknitz, J., Dunckel, M. and Schriever, D. (1978). Profile derived turbulent fluxes in the surface layer under disturbed and undisturbed conditions during GATE. 'Meteor' Forschungsergeb, 13, 24-40. Henderson-Sellers, A. and Gornitz, V. (1984). Possible climatic impacts of land cover transformations with particular emphasis on tropical deforestation. Clim. Change, 6, 231-57. Hesselberg, T. (1954). The Ekman spirals. Arch, für Meteorol., Geophys. und Bioklim., A7, 329-43. Hicks, B. B. and Dyer, A. L. (1970). Measurements of eddy fluxes over the sea. Quart. J. Roy. Meteorol. Soc., 96, 523-8. Hill, R. H. (1972). Laboratory measurements of heat transfer and thermal structure near the air-water interface. J. Phys. Oceanogr., 2, 190-8. Houghton, R. A., Hobbie, J. E., Mellilo, J. M., Moore, B., Peterson, B. J., Shaver, G. R. and Woodwell, G. M. (1983). Changes in the carbon content of terrestrial biota and soils between 1860 and 1980: a net release of C02 to the atmosphere. Ecological Monographs, 53, 235-65. Hsu, S. A. (1974). A dynamic roughness and its application to wind stress determination at the air-sea interface. J. Phys. Oceanogr., 4, 116-20. Hughes, P. A. (1956). A determination of the relation between wind and sea-surface drift. Quart. J. Roy. Meteorol. Soc., 82, 499-502. Hunjua, G. G. and Andreyev, E. G. (1974). Experimental study of heat exchange between sea and atmosphere with a small-scale impact. Izv. AN SSSR, fizika atmosfery i okeana, 10, 1100-10. Hunt, B. G. (1985). A model study of some aspects of soil hydrology relevant to climate modelling. Quart. J. Roy. Meteorol. Soc., Ill, 1071-6. Intergovernmental Panel on Climate Change, 1990 (IPCC 90). Climate Change, J. T. Houghton, G. J. Jenkins and J. J. Ephraums (eds.). Cambridge University Press, 364 pp. Intergovernmental Panel on Climate Change, 1992 (IPCC 92). Climate Change 1992. The Supplementary Report to the IPCC Scientific Assessment. J. T. Houghton, B. A. Callander and S. K. Varney (eds.). Cambridge University Press, 200 pp. Jaeger, L. (1983). Monthly and areal patterns of mean global precipitation. In Variations in the Global Water Budget. D. Reidel, p. 129-40. Kagan, B. A. (1971). Ocean-Atmosphere Interaction (theoretical models of a boundary layer ocean-atmosphere system). Itogy nauki. Okeanologia, 1970. VINITI AN SSSR, Moskva, pp. 37-69. Kagan, B. A., Laikhtman, D. L., Oganesian, L. A. and Piaskovskii, R. V. (1974). Two-dimensional thermodynamic model of the World Ocean. Izv. AN SSSR, fizika atmosfery i okeana, 10, 1118-22. Kagan, B. A. and Maslova, N. B. (1991). Non-uniqueness of the thermohaline circulation in a three-layer ventilated ocean. Fluid Dyn. Res., 6, 287-95. Kagan, B. A., Ryabchenko, V. A. and Safray, A. S. (1986). Simulation of the transient response of the ocean-atmosphere system to increasing atmospheric C02 concentration. Izv. AN SSSR, fizika atmosfery i okeana, 22, 1131-41. Kagan, B. A., Ryabchenko, V. A. and Safray, A. S. (1990). The Ocean-Atmosphere System Response to External Forcings. Gidrometeoizdat, Leningrad, 303 pp. Kagan, B. A. and Tsankova, I. S. (1986). Time-space variability of heat content in the World Ocean. Meteorologiya i gidrologiya, no. 11, pp. 111-14. Kagan, B. A. and Tsankova, I. S. (1987). Time-space variability of the meridional heat transport in the World Ocean. Meteorologiya i gidrologiya, no. 4, pp. 66-71. Kahma, K. K. and Lepparanta, M. (1981). On errors in wind speed observation on R/V 'Aranda'. Geophysica, 17, 155-65. Katsaros, K. S., Liu, W. T., Businger, J. A. and Tillman, J. E. (1977). Heat transport and thermal structure in the interfacial boundary layer measured in an open tank of water in turbulent free convection. J. Fluid Mech., 83, 334— 55. Kazanskii, A. B. and Monin, A. S. (1961). On dynamic interaction between the atmosphere and the Earth's surface. Izv. AN SSSR, ser. geofiz., no. 5, 786-8. Keeling, C. D. (1973). Industrial production of C02 from fossil fuels and limestone. Tellus, 25, 174-98. Keeling, C. D., Piper, S. C. and Heimann, M. (1989). A three-dimensional model of atmospheric COz transport based on observed winds: 4. Mean annual gradients and interannual variations. In Aspects of climate variability in the Pacific and the Western Americas. D. H. Peterson (ed.). Geophys. Monograph, 55, 305-63. Kerman, B. R. (1984). A model of interfacial gas transfer for a well-roughened sea. J. Geophys. Res., 89, 1439-46. Kidwell, K. B. and Seguin, W. R. (1978). Comparison of Mast and Boom Wind Speed and Direction Measurements on US GATE B-Scale Ships. NO A A Tech. Rep. EDS 28, 41 pp. Killworth, P. D. (1983). Deep convection in the World Ocean. Rev. Geophys. Space Phys., 21, 1-26. Kitaigorodskii, S. A. (1970). Physics of the Ocean-Atmosphere Interaction. Gidrometeoizdat, Leningrad, 284 pp. Kitaigorodskii, S. A. (1984). On the fluid dynamical theory of turbulent gas transfer across an air-surface interface in the presence of breaking wind-waves. J. Phys. Oceanogr., 14, 960-72. Kitaigorodskii, S. A., Kuznetsov, O. A. and Panin, G. N. (1973). Coefficients of drag, sensible heat, and evaporation in the atmosphere over the sea surface. Izv. Akad. Nauk SSSR, fizika atmosfery i okeana, 9, 1135-41. Temperaturstruktur im Wasser an der Grenzfläche. Ozean-Atmosphere. Meteorol. Forschungsergeb., Ser. B, no. 5, pp. 90-4. Kobak, K. I. (1988). Biotic Components of the Carbon Cycle. Gidrometeoizdat, Leningrad, 248 pp. Kobak, K. I. and Kondrashova, N. Yu. (1987). Anthropogenic impacts on the soil reservoir of carbon and on the carbon cycle. Meteorologiya i gidrologiya, no. 5, pp. 39-46. Kolmogorov, A. N. (1941). Local structure of turbulence in incompressible fluids at very large Reynolds numbers. Doklady AN SSSR, 30, 299-303. Kondo, J. Y. (1975). Air-sea bulk transfer coefficients in diabatic conditions. Boundary-Layer Meteorol., 9, 91-112. Korzun, V. I. (ed.). (1974). The World Water Balance and Water Resources of the Earth. Gidrometeoizdat, Leningrad, 638 pp. Koschmider, G. (1938). Dynamical Meteorology. Gosud. Nauchno-Tekhnich. Izd., Moskva, 376 pp. Kraus, E. B. (1972). Atmosphere-Ocean Interaction. Clarendon Press, Oxford. Kraus, E. B. and Turner, J. S. (1967). A one-dimensional model of the seasonal thermocline II. The general theory and its consequences. Tellus, 19, 98-106. Krügermeyer, L. (1976). Vertical transports of momentum, sensible and latent heat from profiles at the tropical Atlantic during ATEX. 'Meteor' Forschungsergeb., 11, 51-77. Krügermeyer, L., Grünewald, M. and Dunckel, M. (1978). The influence of sea waves on the wind profile. Boundary-Layer Meteorol, 14, 403-14. Kuharets, V. P., Tsvang, L. R. and Yaglom, A. M. (1980). On correlation of surface and boundary atmospheric layers characteristics. In Fizika atmosfery i problemy klimata, Golitsyn, G. S. and Yaglom, A. M. (eds.). Nauka, Moskva, pp. 162-93. Kuznetsov, O. A. (1970). Results of experimental study of the air flow over the sea surface. Izv. AN SSSR, fizika atmosfery i okeana, 4, 798-803. L'vovich, M. I. (1973). The global water balance. Trans. Am. Geophys. Un., 54, 2842. Laikhtman, D. L. (1958). On Wind Drift of Ice. Trudy Leningr. Gidrometeorol. Inst., issue 7, pp. 129-37. Laikhtman, D. L. (1966). Dynamics of the boundary atmospheric and ocean layers with an allowance for their interaction and non-linear effects. Izv. AN SSSR, fizika atmosfery i okeana, 2, 1017-25. Laikhtman, D. L. (1970). Physics of the Boundary Layer of the Atmosphere. Gidrometeoizdat, Leningrad, 341 pp. Laikhtman, D. L. (1986). Non-linear theory of the wind ice drift. Izv. AN SSSR, fizika atmosfery i okeana. 4, 1220-3. Laikhtman, D. L., Kagan, B. A. and Timonov, V. V. (1968). Ways of studying the ocean-atmosphere interaction. Meteorol. issledovanya, no. 16, pp. 287-300. Large, W. G. and Pond, S. (1981). Open ocean momentum flux measurements over the ocean. J. Phys. Oceanogr., 11, 324-36. Large, W. G. and Pond, S. (1982). Sensible and latent heat flux measurements over the ocean. J. Phys. Oceanogr., 12, 464-82. Launiainen, J. (1983). Parametrization of the water vapour flux over a water surface by the bulk aerodynamic method. Annales Geophys., 1, 481-92. Lebedev, A. A. (1986). Ice Balance of the World Ocean. Problemy Arktiki i Antarktiki, issue 62, pp. 18-28. Lemke, P., Trinkl, E. W. and Hasselmann, K. (1980). Stochastic dynamic analysis of polar sea ice variability. J. Phys. Oceanogr., 10, 2100-20. Levitus, S. (1982). Climatological Atlas of the World Ocean. NOAA Prof. Paper 13. Rockville, MD, 171 pp. Liu, W. T. (1983). Estimation of latent heat flux with Seasat-SMMR, a case study in N. Atlantic. In Large-scale Oceanographic Experiments and Satellites, C. Gautier and M. Fieux (eds.). D. Reidel, Dordrecht e.a., pp. 205-22. Lorenz, E. N. (1967). The Nature and Theory of the General Circulation of the Atmosphere. World Meteorological Organization, Geneva, 161 pp. Lorenz, E. N. (1968). Climatic determinism. Meteorol. Monogr., 8, 1-3. Lorenz, E. N. (1970). Climatic change as a mathematical problem. J. Appl. Meteorol, 9, 325-9. Lorenz, E. N. (1975). Climate predictability. The Physical Bases of Climate and Climate Modelling. GARP Publ. Ser., no. 16, World Meteorological Organization, pp. 132-6. Lorenz, E. N. (1979). Forced and free variations of weather and climate. J. Atmos. Scl, 36, 1367-76. Lueck, R. and Reid, R. (1984). On the production and dissipation of mechanical energy in the ocean. J. Geophys. Res., 89, 3439-45. Lumley, J. L. (1980). Second-order models for turbulent flows. In Prediction Method for Turbulent Flows. W. Kollman (ed.). Hemisphere, pp. 7-34. Makova, V. I. (1968). Resistance coefficient and roughness parameter for large wind velocities. Trudy Gos. Okeanograph. Inst., issue 93, pp. 173-90. Malevskii-Malevich, S. P. (1970). Influence of the cool skin on heat exchange between the ocean and atmosphere. Trudy Glav. Geofiz. Observ., issue 257, pp. 35-45. Malkevich, M. S. (1973). Satellite Optical Researches of the Atmosphere. Nauka, Moskva, 303 pp. Manabe, S. and Bryan, K. (1969). Climate and the ocean circulation. Mon. Wea. Rev., 97, 739-827. Manabe, S. and Bryan, K. (1985). COz-induced change in a coupled ocean-atmosphere model and its paleoclimatic implications. J. Geophys. Res., 90, 11689-707. Manabe, S., Bryan, K. and Spelman, M. J. (1975). A global ocean-atmosphere climate model. Part I. The atmosphere circulation. J. Phys. Oceanogr., 5, 3-29. Manabe, S., Bryan, K. and Spelman, M. J. (1979). A global ocean-atmosphere climate model with seasonal variation for future studies of climate sensitivity. Dyn. Atmos. Oceans, 3, 395-426. Manabe, S. and Hahn, D. G. (1977). Simulation of the tropical climate of an ice age. J. Geophys. Res., 82, 3889-911. Manabe, S., Spelman, M. J. and Stouffer, R. J. (1992). Transient responses of a coupled ocean-atmosphere model to gradual changes of atmospheric C02. Part II: Seasonal response. J. Climate, 5, 105-26. Manabe, S. and Stouffer, R. J. (1980). Sensitivity of a global climate model to an increase of C02 concentration in the atmosphere. J. Geophys. Res., 85, 5529-54. Manabe, S. and Stouffer, R. J. (1988). Two stable equilibria of a coupled ocean-atmosphere model. J. Clim., 1, 841-66. Manabe, S., Stouffer, R. J., Spelman, M. J. and Bryan, K. (1991). Transient responses of a coupled ocean-atmosphere model to gradual changes of atmospheric C02. Part I: Annual mean response. J. Climate, 4, 785-818.
concentration on the climate of a general circulation model. J. Atmos. Sci., 32, 3-15. Manabe, S. and Wetherald, R. T. (1980). On the distribution of climate changes resulting from an increase in C02 content of the atmosphere. J. Atmos. Sci., 37, 99-118. Marchuk, G. I., Dymnikov, V. P., Zalesnyi, V. B., Lykosov, V. N. and Galin, V. Ya. (1984). Mathematical Modelling of the General Circulation of the Atmosphere and Ocean. Gidrometeoizdat, Leningrad, 319 pp. Marland, G. (1989). Fossil Fuels C02 Emissions: Three countries account for 50% in 1988. CDIAC Communications, Winter 1989, 1-4, Carbon Dioxide Information Analysis Center, Oak Ridge National Laboratory, USA. Marland, G. and Rotty, R. M. (1984). Carbon dioxide emissions from fossil fuels: a procedure for estimation and results for 1950/1982. Tellus, 36B, 232-61. McCreary, J. R. (1986). Coupled ocean-atmosphere models of El Niño and the Southern Oscillations. In Large-scale Transport Processes in Oceans and Atmosphere. J. Willebrand and D. L. T. Anderson (eds.). D. Reidel, Dordrecht, pp. 247-80. Memery, L. and Merlivat, L. (1985). Modelling of gas flux through bubbles at the air-water interface. Tellus, 37B, 272-85. Minnet, P. J., Zadovy, A. M. and Llewellyn-Jones, D. T. (1983). Satellite measurements of sea-surface temperature for climate research. In Large-scale Oceanographic Experiments and Satellites. C. Gautier and M. Fieux (eds.). D. Reidel, Dordrecht, e.a., pp. 57-86. Mitchell, J. F. B. (1983). The seasonal response of a general circulation model to changes in C02 and sea temperature. Quart. J. Roy. Meteorol. Soc., 109, 113— 52. Mitchell, J. F. B„ Senior, C. A. and Ingram, W. J. (1989). C02 and climate: a missing feedback? Nature, 341, 132-4. Mitchell, J. F. B. and Warrilow, D. A. (1987). Summer dryness in northern mid-latitudes due to increased COz. Nature, 330, 238-40. Mitchell, J. M. (1976). An overview of climatic variability and its causal mechanisms. Quaternary Res., 6, 1-13. Miyake, M., Donelan, M., McBean, G., Paulson, C., Badgly, F. and Leavitt, E. (1970). Comparison of turbulent fluxes over water determined by profile and eddy correlation techniques. Quart. J. Roy. Meteorol. Soc., 96, 132-7. Monin, A. S. (1950). Dynamical turbulence in the atmosphere. Izv. AN SSSR, ser. geogr. and geofiz., 14, 232-54. Monin, A. S. (1965). On symmetry properties for turbulence in the air surface layer. Izv. AN SSSR, fizika atmosfery i okeana, 1, 45-54. Monin, A. S. (1969). Forecast as a Problem of Physics. Nauka, Moskva, 184 pp. Monin, A. S. (1982). Introduction to the Climate Theory. Gidrometeoizdat, Leningrad, 245 pp. Monin, A. S. and Obukhov, A. M. (1954). Main regularities of the turbulent mixing in the surface layer of the atmosphere. Trudy Geofiz. Inst. AN SSSR, no. 24 (151), pp. 163-87. Monin, A. S. and Yaglom, A. M. (1965). Statistical Hydromechanics. Part I. Mechanics of Turbulence. Nauka, Moskva, 639 pp. Moore, B., Boone, R. D., Hobbie, J. E., Houghton, R. A., Mellilo, J. M., Peterson, B. J, Shaver, G. R, Vórósmarty, C. Y. and Woodwell, G. M. (1981). A simple model for analysis of the role of terrestrial ecosystems in the global carbon budget. In Carbon Cycle Modelling, B. Bolin (ed.). SCOPE 16, John Wiley and Sons, NY, pp. 365-85. Munk, W. H. (1966). Abyssal recipes. Deep-sea Res., 13, 707-30. Murphy, J. M. (1990). Prediction of the transient response of climate to a gradual increase in C02 using a coupled ocean atmosphere model with flux correction. In Research Activities in Atmospheric and Oceanic Modelling. CAS/JSC Working Group on Numerical Experimentation, Report no. 14, WMO/TO, no. 376, 9.7-9.8. Nakamura, N. and Oort, A. H. (1988). Atmospheric heat budgets of the polar regions. J. Geophys. Res., 93, 9510-24. Neumann, G. and Pirson, W. J. (1966). Principles of Physical Oceanography. Prentice-Hall. Nieuwstadt, F. T. M. (1981). The steady-state height and resistance laws of the nocturnal boundary layers: theory compared with Cabaw observations. Boundary-Layer Meteor oh, 20, 3-17. North, G. R. (1975). Theory of energy balance climate models. J. Atmos. Sci., 32, 2033-43. North, G. R., Cahalan, R. F. and Coakley, J. A. (1981). Energy balance climate models. Rev. Geophys. Space Phys., 19, 91-121. Oglesby, R. J. and Saltzman, B. (1990). Sensitivity of the equilibrium surface temperature of a GCM to systematic changes in atmospheric carbon dioxide. Geophys. Res. Letters, 17, 1089-92. Oort, A. H. (1983). Global Atmospheric Circulation Statistics, 1958-1973. NOAA Prof. Paper 14, Rockville, MD, 180 pp. Oort, A. H. (1985). Balance conditions in the Earth's climate system. Adv. in Geophys., 28A, 75-98. Oort, A. H., Ascher, S. C., Levitus, S. and Peixoto, J. P. (1989) New estimates of the available potential energy in the World Ocean. J. Geophys. Res., 94, 3187-200. Oort, A. H. and Peixoto, J. P. (1983). Global angular momentum and energy balance requirements from observations. Adv. in Geophys., 25, 355-490. Oort, A. H. and Rasmusson, E. M. (1971). Atmospheric Circulation Statistics, NOAA Prof. Paper W5. Rockville, MD, 323 pp. Pandolfo, J. P. (1969). A numerical model of the atmosphere-ocean planetary boundary layer. Proc. WMO/JUGG Sympos. Numerical Weather Prediction. World Meteorological Organization, Tokyo, pp. 1131-40. Panin, G. N. (1985). Heat and Mass Exchange Between Water Basin and Atmosphere Under Natural Conditions. Nauka, Moskva, 295 pp. Panteleyev, N. A. (1960). Study of turbulence in the surface water layer of the Antarctic part of the Indian and Pacific Oceans. Trudy Okeanograph. Komissii AN SSSR, 10, 137-40. Paulson, C. A. and Parker, T. W. (1972). Cooling of a water surface by evaporation, radiation and heat transfer. J. Geophys. Res., 77, 491-5. Paulson, C. A. and Simpson, J. J. (1981). The temperature difference across the cool skin of the ocean. J. Geophys. Res., 86, 11044-54. Peixoto, J. P. and Oort, A. H. (1983). The atmospheric branch of the hydrological cycle and the climate. In Variations in the Global Water Budget. D. Reidel, Dordrecht, e.a. 5-65. Peixoto, J. P. and Oort, A. H. (1984). Physics of climate. Rev. Modern Phys., 56, 365-429. Peng, T. H. (1985). Atmospheric C02-variations based on the tree-ring 13C record. In The Carbon Cycle and Atmospheric C02 Natural Variations Archean to Present. Geophys. Monogr., 32, 123-31.
deconvolution of the tree ring based on <513C record. J. Geophys. Res., 88, 3609-20. Peng, L., Chou, M. D. and Arking, A. (1987). Climate warning due to increasing atmospheric C02: simulations with a multilayer coupled atmosphere-ocean seasonal energy balance model. J. Geophys. Res., 92, 5505-21. Petuhov, V. K. (1989). A zonal climatic model of the heat and moisture exchange in the atmosphere over the ocean. In Physics of the Atmosphere and the Problem of Climate, G. I. Golytzyn and A. M. Yaglom (eds.). Nauka, Moskva, pp. 8-41. Petuhov, V. K. and Manuilova, N. I. (1984). Estimation of some climate-generating factors in a simple thermodynamic model of climate. Meteorologiya i gidrologiya, no. 18, pp. 31-7. Philander, S. G. H. (1985). El Niño and La Niña. J. Atmos. Sci., 42, 3652-62. Philander, S. G. H. and Rasmusson, E. M. (1985). Southern Oscillation and El Niño. Adv. in Geophys., 28, Part A. Climate dynamics, pp. 461-77. Phillips, O. M. (1977). The Dynamics of the Upper Ocean. Cambridge University Press, 336 pp. Pond, S. D., Fissel, B. and Paulson, C. A. (1974). A note on bulk aerodynamic coefficients for sensible heat and moisture fluxes. Boundary-Layer Meteorol., 6, 333-9. Pond, S., Phelps, G„ Paquin, J. E„ McBean, G. and Stewart, R. W. (1971). Measurements of the turbulent fluxes of momentum, moisture and sensible heat over the ocean. J. Atmos. Sci., 28, 901-11. Potter, G. L, Ellsaesser, H. W, MacCracken, M. C. and Ellis, J. S. (1981). Albedo change by man: test of climate effects. Nature, 291, 47-9. Radikevich, V. M. (1968). Study of some characteristics of the atmosphere-ocean boundary layer interaction based on a new theoretical model. Trudy Leningr. Gidrometeorol. Instit, Issue 32, pp. 3-15. Report of the Joint Scientific Committee ad hoc Working Group on Radiative Flux Measurements. World Climate Programme, 1987, no. 136, 76 pp. Revelle, R. and Munk, W. (1977). The carbon dioxide cycle and the biosphere. In Energy and Climate. Natl. Acad. Sci., Wash., DC, pp. 140-58. Romanov, Ju. A., Fedorova, I. B., Chervyakov, M. S. and Shapiro, G. I. (1983). On the increase in accuracy of wind speed and direction ship measurements on the basis of aerodynamic testing of a ship model. Okeanologia, 23, 35560. Rooth, C. (1982). Hydrology and ocean circulation. Progr. Oceanogr., 11, 131-49. Rossby, C. G. (1932). A generalization of the theory of the mixing length with application to atmospheric and oceanic turbulence. Mass. Inst. Technol., Meteorol., Pap., 1, 1-36. Rotta, J. C. (1951). Statistische Theorie Nichthomogener Turbulenz, 1. Zs. Phys., 129, 547-72; Statistische Theorie Nichthomogener Turbulenz, 2. Zs. Phys., 132, 51-77. Rotty, R. M. (1987). Estimates of seasonal variation in fossil fuel C02 emissions. Tellus, 39B, 184-202. Sagan, C., Toon, O. B. and Pollack, J. B. (1979). Anthropogenic albedo changes and earth's climate. Science, 206, 1363-8. Saltzman, B. (1983). Climate system analysis. Adv. in Geophys., 25, 173-233. Sattinger, D. H. (1980). Bifurcation and symmetry breaking in applied mathematics. Bull. Amer. Math. Soc., 3, 779-820. Sausen, R., Barthel, K. and Hasselmann, K. (1988). Coupled ocean-atmosphere model with flux correction. Climate Dynamics, 2, 145-63. Schlesinger, M. E. (1983). A review of climate models and their simulation of C02-induced warming. Intern. J. Environ. Studies, 20, 103-14. Schlesinger, M. E. (1984). Climate model simulations of C02-induced climatic change. Adv. in Geophys., 26, 141-235. Schlessinger, M. E., Gates, W. L. and Han, Y.-J. (1985). The role of the ocean in C02-induced climate change: preliminary results from the OSLI coupled atmosphere-ocean general circulation model. In Coupled Ocean-Atmosphere Models. J. C. J. Nikoiel (ed.). Elsevier, Amsterdam, pp. 447-78. Schlesinger, M. E. and Zhao, Z. C. (1989). Seasonal climatic change induced by doubled C02 as simulated by the OSU atmospheric GCM/mixed-layer ocean model. J. Climate, 2, 429-95. Schneider, S. H. and Thompson, S. L. (1981). Atmospheric C02 and climate: importance of the transient response. J. Geophys. Res., 86, 3135-47. Schooley, A. H. (1967). Temperature differences near the sea-air interface. J. Mar. Res., 25, 60-8. Schumann, U. (1977). Realizability of Reynolds-stress turbulent models. Phys. Fluids, 20, 721-5. Sellers, P. J., Minz, Y., Sud, Y. C. and Dalcher, A. (1986). A simple biosphere model (SiB) for use within general circulation models. J. Atmos. Sci., 43, 505-31. Sheppard, P. A. (1958). Transfer across the Earth's surface and through the air above. Quart. J. Roy. Meteorol. Soc., 84, 205-24. Sheppard, P. A., Tribble, D. T. and Garratt, J. R. (1972). Studies of turbulence in the surface layer over water (Lough Neagh), part 1. Instrumentation, programme, profiles. Quart. J. Roy. Meteorol. Soc., 98, 627-41. Shukla, J. (1985). Predictability. Adv. in Geophys., 28, Part B. Weather Dynamics, pp. 87-122. Shvetz, M. E. (1939). To the theory of ocean currents. Meteorologiya i gidrologiya, no. 3, pp. 3-7. Siegenthaler, U., Heimann, M. and Oeschger, H. (1978). Model responses of the atmospheric C02-level and 13C/12C ratio to biogenic C02 input. In Carbon Dioxide, Climate and Society. Pergamon Press, Oxford, NY, pp. 79-88. Slingo, A. and Pearson, D. W. (1987). A comparison of the impact of an envelope orography and of a parametrization of orographic gravity wave-drag on model simulations. Quart. J. Roy. Meteorol. Soc., 113, 847-70. Smith, S. D. (1967). Thrust-anemometer measurements of wind velocity spectra and Reynolds stress over a coastal inlet. J. Mar. Res., 25, 239-62. Reynolds stress, and drag coefficient over the sea. J. Geophys. Res., 75, 6758-70. Smith, S. D. (1974). Eddy flux measurements over Lake Ontario. Boundary-Layer Meteorol., 6, 235-55. Smith, S. D. (1980). Wind stress and heat flux over the ocean in gale force winds. J. Phys. Oceanogr., 10, 709-26. Smith, S. D. and Anderson, R. J. (1984). Spectra of humidity, temperature and wind over the sea at Sable Island, Nova Scotia. J. Geophys. Res., 88, 2029-40. Smith, S. D. and Banke, E. G. (1975). Variation of the sea surface drag coefficient with wind speed. Quart. J. Roy. Meteorol. Soc., 101, 665-73. Smith, S. D. and Jones, E. P. (1985). Evidence for wind-induced pumping of air-sea gas exchange based on direct measurements of C02 fluxes. J. Geophys. Res., 90, 869-75. Smith, W. L., Bishop, W. P., Dvorak, V. F„ Hayden, C. M„ McElroy, J. H, Mosher, F. R., Oliver, V. J, Purdom, J. F. and Wark, D. Q. (1986). The meteorological satellite: overview of 25 years of operation. Science, 231, 455-62. Spelman, M. J. and Manabe, S. (1984). Influence of oceanic heat transport upon the sensitivity of a model climate. J. Geophys. Res., 89, 571-86. Stepanov, V. N. (1974). World Ocean. Znanie, Moskva, 256 pp. Stephens, G. L., Campbell, G. G. and Vonder-haar, T. H. (1981). Earth radiation budgets. J. Geophys. Res., 86, 9739-60. Stewart, R. B. and Grant, H. L. (1962). Determination of the rate of dissipation of turbulent energy near the sea surface in the presence of waves. J. Geophys. Res., 67, 3177-80. Stommel, H. (1958). The Gulf Stream. A Physical and Dynamical Description. London Univ. Press, Berkeley - Los Angeles, 202 pp. Stommel, H. (1961). Thermohaline convection with two stable regimes of flow. Tellus, 13, 224-30. Stone, P. H. (1972). A simplified radiative-dynamical model for the static stability of rotating atmosphere. J. Atmos. Sci., 29, 405-18. Stone, P. H. and Miller, D. A. (1980). Empirical relations between seasonal changes in meridional temperature gradients and meridional fluxes of heat. J. Atmos. Sci., 37, 1708-21. Stouffer, R. J., Manabe, S. and Bryan, K. (1989). On the climate change induced by a gradual increase of atmospheric carbon dioxide. Nature, 342, 660-2. Strokina, L. A. (1982). Zonally averaged values of sea-water and air temperature for the World Ocean. Meteorología i gydrologiya, no. 4, pp. 50-5. Strokina, L. A. (1989). Heat Balance of the Sea Surface (Handbook). Gidrometeoizdat, Leningrad, 447 pp. Stuiver, M. (1978). Atmospheric carbon dioxide and carbon reservoir changes. Science, 199, 253-8. Takahashi, T., Broecker, W. S. and Bainbridge, A. E. (1981). The alkalinity and total carbon dioxide concentration in the World oceans. In Carbon Cycle Modelling. B. Bolin (ed. ), SCOPE 16. NY: John Wiley and Sons, pp. 271-86. Tans, P. P., Fung, I. Y. and Takahashi, T. (1990). Observational constraints on the global atmospheric carbon dioxide budget. Science, 247, 1431-8. Taylor, P. K. (1983). The determination of surface fluxes of heat and water by satellite microwave radiometry and in situ measurements. In Large-scale Oceanographic Experiments and Satellites. C. Gautier and M. Fieux (eds.). D. Reidel, Dordrecht, pp. 223-46. Taylor, P. K. (1985). TOGA Surface Fluxes of Sensible and Latent Heat by in situ Measurements and Microwave Radiometry. Report of the Third Session of the JSC/CCCO TOGA Scientific Steering Group. WMO/TD, no. 81, 30 pp. Taylor, P. K. (1986). Validation of ERS-1 wind data using observations from research and voluntary observing ships. Proc. Workshop on ERS-1 Wind and Wave Calibration. FRG, 2-6 June, 1986, ESA SP-262, pp. 69-75. ECMWF forecast model and orographic forcing. In Predictability of Fluid Motions. G. Holloway and B. J. West (eds.). Amer. Inst, of Physics, pp. 397418. Toba, Y. (1991). Sea-surface Roughness Length Fluctuating in Concert with Wind and Waves. Collected Papers. Faculty of Sciences, Tohoku University, Sendai, Japan. Tomczak, G. (1963). Neuere Untersuchungen mit Treibkorpern zur Bestimmung des Windeinflusses auf Oberflachenstromungen. Meer. Ber. Dtsch. Wetterdienstes, 91, 18-25. Tsukamoto, O., Hayashi, T., Monji, N. and Mitsuta, Y. (1975). Transfer coefficients and turbulence-flux relationship as directly observed over the ocean during the AMTEX-74. Scient. Report, 4th AMTEX Study Conf, Tokyo, Sept. 1975, pp. 109-12. Untersteiner, N. (1961). On the mass and heat budget of Arctic sea ice. Arch. Meteorol. Geophys. Bioklimatol., Ser. A, 12, 151-82. Verbitskii, M. Y. and Chalikov, D. V. (1986). Modelling a Glacier-Ocean-Atmosphere System. Gidrometeoizdat, Leningrad, 131 pp. Volkov, Yu. A. and Koprov, B. M. (1974). On methods for measurement of heat, moisture, and momentum from aboard ship. Tropeks-12. Gidrometeoizdat, Leningrad, pp. 313-18. Walsh, J. E. and Johnson, C. M. (1979). An analysis of Arctic sea ice fluctuations 1953-77. J. Phys. Oceanogr., 9, 580-91. Warren, S. G. and Schneider, S. H. (1979). Seasonal simulation as a test for uncertainties in the parametrization of Budyko-Sellers zonal climate models. J. Atmos. Sci., 36, 1377-91. Washington, W. M. and Meehl, G. A. (1983). General circulation model experiments on the climatic effects due to a doubling and quadrupling of carbon dioxide concentration. J. Geophys. Res., 88, 6600-10. Washington, W. M. and Meehl, G. A. (1984). Seasonal cycle experiment on the climate sensitivity due to a doubling of C02 with an atmospheric general circulation model coupled to a simple mixed-layer ocean model. J. Geophys. Res., 89, 9475-503. Washington, W. M. and Meehl, G. A. (1989). Climate sensitivity due to increased C02: Experiments with a coupled atmosphere and ocean general circulation model. Climate Dyn., 4, 1-38. Washington, W. M. and Meehl, G. A. (1991). Characteristics of coupled atmosphere-ocean C02 sensitivity experiments with different ocean formulations. In Greenhouse-Gas-Induced Climatic Change: A Critical Appraisal of Simulations and Observations. Elsevier, Amsterdam, pp. 79-110. Washington, W. M., Semtner, A. J., Meehl, G. A., Knight, D. J. and Mayer, T. A. (1980). A general circulation experiment with a coupled atmosphere, ocean and sea-ice model. J. Phys. Oceanogr., 10, 1887-908. Washington, W. M. and Williamson, D. L. (1977). Description of the global circulation models of the National Centre for Atmospheric Researches. In Methods in Computational Physics, 17, General circulation models of the Atmosphere, J. Chang (ed. ), pp. 111-73. Welander, P. (1986). Thermohaline effects in the ocean circulation and related simple models. In Large-scale Transport Processes in Oceans and Atmosphere. J. Willebrand and D. L. T. Anderson (eds.). D. Reidel, Dordrecht, pp. 12546. Weller, H. S. and Burling, R. W. (1967). Direct measurements of stress and spectra in the boundary layer over the sea. J. Atmos. Sci., 24, 653-64. Wetherald, R. T. and Manabe, S. (1981). Influence of seasonal variations upon the sensitivity of a model climate. J. Geophys. Res., 86, 1194-204. Wetherald, R. T. and Manabe, S. (1986). An investigation of cloud cover change in response to thermal forcing. Clim. Change, 8, 5-26. Wetherald, R. T. and Manabe, S. (1988). Cloud feedback processes in a general circulation model. J. Atmos. Sci., 45, 1397-1415. Whittaker, R. H. and Likens, G. E. (1975). The biosphere and man. Primary productivity of the biosphere. Ecological Studies, 14, Springer-Verlag, NY, pp. 305-28. Wieringa, J. (1974). Comparison of three methods for determining strong wind stress over Lake Flevo. Boundary-Layer Meteoroi, 7, 3-19. Wiin-Nielsen, A. (1975). Predictability and climate variation illustrated by a low-order system. Seminars on Scientific Foundation of Medium Range Weather Forecasts, 1-12 September 1975. ECMWF, Reading, UK. Williams, G. P. and Davis, D. R. (1965). A mean motion model of the general circulation. Quart. J. Roy. Meteoroi. Soc., 91, 471-89. Wilson, C. A. and Mitchell, J. F. B. (1987). Simulated climate and C02 induced climate change over western Europe. Clim. Change, 10, 11-42. WMO (1984). International List of Selected, Supplementary and Auxiliary Ships. WMO-47, WMO, Geneva. Woodcock, A. H. and Stommel, H. (1947). Temperature observed near the surface of a fresh-water pond at night. J. Meteoroi., 4, 102-3. Peterson, B. J. and Shaver, G. R. (1983). Global deforestation and the carbon dioxide problem. Science, 222, 1081-6. Wu, J. (1969). Wind stress and surface roughness at air-sea interface. J. Geophys. Res., 14, 444-56. Wu, J. (1980). Wind-stress coefficients over the sea surface near neutral conditions. A revisit. J. Phys. Oceanogr., 10, 727-40. Wylie, D. P. and Hinton, B. B. (1983). A summary of the wind data available from satellites from the past history to future sensors. In Large-scale Oceanographic Experiments and Satellites. C. Gautier and M. Fieux (eds.). D. Reidel, Dordrecht, pp. 125-46. Yaglom, A. M. and Kader, B. A (1974). Heat and mass transfer between rough wall and turbulent fluid flow at high Reynolds and Peclet numbers. J. Fluid Mech., 62, 601-23. Yamada, T. (1976). On the similarity functions A, B and C of the planetary boundary layer. J. Atmos. Sci., 33, 781-93. Yoshihara, H. (1968). Sea-air interaction: a simplified model. J. Atmos. Sci., 25, 729-35. Zilitinkevich, S. S. (1970). Dynamics of the Atmospheric Boundary Layer. Gidrometeoizdat, Leningrad, 290 pp. Zilitinkevich, S. S. (1972). On the determination of the height of the Ekman boundary layer. Boundary-Layer Meteoroi, 3, 144-5. Zilitinkevich, S. S. and Laikhtman, D. L. (1965). On closing of the equation system of eddy motion for the atmospheric boundary layer. Trudy Glav. Geofiz. Observ., issue 167, 44-8. Zilitinkevich, S. S., Laikhtman, D. L. and Monin, A. S. (1967). Dynamics of the boundary atmospheric layer. Izv. AN SSSR, fizika atmosfery i okeana, 3, 297333. Zilitinkevich, S. S. and Monin, A. S. (1977). The Global Atmosphere-Ocean Interaction. Gidrometeoizdat, Leningrad, 23 pp. Zilitinkevich, S. S., Monin, A. S. and Chalikov, D. V. (1978). Ocean-atmosphere interaction. Fizika okeana, 1,1, Gidrofizika o/ceana,Nauka, Moskva, pp. 208-339. Zubkovskii, S. L. and Kravchenko, T. K. (1967). Direct measurements of some characteristics of atmospheric turbulence in the marine surface layer. Izv. AN SSSR, fizika atmosfery i okeana, 3, 127-35.